We love and embrace creative marketing that moves the needle, digital programs that drive compelling user experiences and technology solutions that drive the vision of our clients. Hire us as your marketing technology partner and experience what it means to have us on your parallel. Over the past few months, we’ve had the opportunity to work on a couple of important branding projects. One, a long-standing established brand redefining its DNA and brand evolution strategy. The other, a completely new brand from the ground up set to launch nationally in the first quarter of 2018. More on that as it develops. This isn’t going to be a self-promotion post where we tell you all about how great we are with our strategic, creative and design skills. I will, however, give ourselves a pat on the back because we have performed exceptionally well with both projects. What is more important is what was learned through these two processes, the profound reminders of what a brand means and the importance and impact a great brand can have on a business. The reality is that many businesses talk brand, but most do not embrace the core principles of the brand and leverage it to truly differentiate themselves to contribute to business growth. Branding is not easy. But if done correctly, a brand can be leveraged to solve complex challenges for a business. A brand moves beyond marketing decisions and can influence hiring, technology, operations, business process, customer experience and management decisions. While branding has clearly moved into the experiential realm with the rise of digital technology, the core principles of what drives your business and all you do philosophically, strategically, operationally, culturally and experientially can be rooted in your brand. It is more than a logo or a tagline—it is the core identity of your business. It gives future business decisions purpose and direction. Think about the qualities of other brands (not just those in your industry) that you admire and why those qualities may be important to your brand. 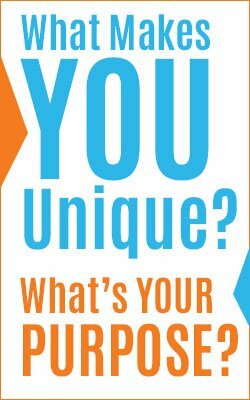 Determine what makes you unique and what the singular purpose of your brand is. Identify the aspects of your brand that motivate and mobilize the people in your organization. Define your brand architecture and explore how messaging, tone and voice align with your customers. Identify how implementing your brand principles changes how you go-to-market, defines business processes and impacts customer experience. Define what comes to mind that describes your brand today (be brutally honest) and what you would aspire to change about your brand in the future. What is the heart and soul of your brand? Think of your brand as a product, a person, as an organization or a symbol. Those answers will drive some interesting thought. Define three strategic actions or initiatives that you can pursue that reflect your brand values and market position and how they will contribute to business growth. That is a lot to think about but branding deserves as much of your thought and time as necessary, and is why bringing outside perspective for defining or evolving a brand is so important. It is often difficult for management teams to be truly honest with themselves about brand health due to competing priorities and other brand investments. Bringing in outside experts will allow you to delve deeper into developing a brand positioning model, your unique selling proposition, and your brand identity as well as build consensus among stakeholders. A brand is an investment that can have a significant impact, especially for those businesses who are faced with stagnant sales, new market challenges, competitive threats and misaligned organizational direction and goals. Brand envelopes every aspect of your company and how it is viewed internally and externally. Evolving your brand can be thesingle most important endeavor on your list of projects that can bring more clarity to everything you do from marketing and customer experience initiatives to operational and technology decisions. A good place to start is with a brand survey and workshop and include those within and outside of your company. Conducting a workshop can reveal the best next steps for your brand and provide insights about your company you may not have had before. For more information about brand evolution or how your organization can benefit from a brand workshop, call Mark Rosenberg at 919-412-7378.